Cooperatives are a type of shared housing ownership that is different from condominiums. As with condominiums, cooperative ownership is a means by which multiple owners jointly own a structure that has more than one unit. While condominium owners own a deed to a particular unit and common areas, in a cooperative, a corporation owns the entire structure, and the people who live there own shares of stock in the corporation that give the owner of the share the right to live in a particular unit. If you are interested in buying an unrestricted market-rate cooperative, the Boston real estate attorneys at Pulgini & Norton can advise you on whether this may be a good decision. If you are a first-time homebuyer, purchasing a home is likely one of the biggest financial decisions of your life. For some buyers, purchasing a co-op apartment is the best strategy available to own a home. When you buy a condominium, you receive real property in exchange, but with a co-op purchase, you are buying shares in the cooperative corporation that owns the structure or structures in which your unit is located. You own the number of shares that have been allocated for a particular unit, based on where it is located and how big it is. If you have decided that you would prefer a co-op to a condominium or another home, the next step is to buy a share in an unrestricted market-rate cooperative. You will receive a stock certificate and a proprietary lease or occupancy agreement, rather than a deed. The lease will provide the terms of your occupancy of the unit. You are treated as a part owner of the building with a proprietary lease on a particular unit. Often, banks will not provide mortgages for unrestricted market-rate cooperatives. Instead, these cooperatives are managed privately, and when there is an available unit, the corporation lists it with a real estate broker. The applicant must have the income or funds to cover the purchase price of a share. In some cases, however, a co-op will offer a share loan that covers part of the purchase. Your shares in the co-op and your proprietary lease will serve as the collateral. However, you should be aware that the co-op board of directors may place conditions on how the shares are sold, and it can be challenging to sell shares if the co-op is in a poor financial condition, or if the building is run-down. If you are a shareholder in an unrestricted market-rate co-op, you will pay a monthly carrying charge in addition to the share price. This monthly carrying charge will cover the expenses for the co-op, such as the cost of maintenance, insurance, loan repayments linked to the whole cooperative, and taxes. The amount of the carrying charge will be based on the costs of the co-op. As its name suggests, an unrestricted market-rate co-op is mostly unrestricted with regard to share price. This is in contrast to a limited equity co-op, in which ownership opportunities are available at a significantly lower cost than what is usually available via an individual mortgage or down payment. 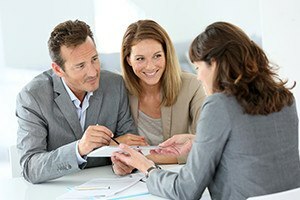 When you apply to buy shares in an unrestricted market-rate cooperative, it can be helpful to consult a Boston real estate lawyer. At Pulgini & Norton, we can advise you from start to finish in a property transaction. We represent buyers, sellers, associations, and lenders in many Massachusetts cities, such as Cambridge, Andover, and Weymouth. Contact Pulgini & Norton at 781-843-2200 or through our online form to set up a free consultation with a property transaction attorney.